Central Coast, CA—Building upon the success of its inaugural experience last January, “Wine Speak Paso Robles” is set to return once again with an all-star cast of master sommeliers, winemakers and hospitality professionals on January 7-10, 2019. 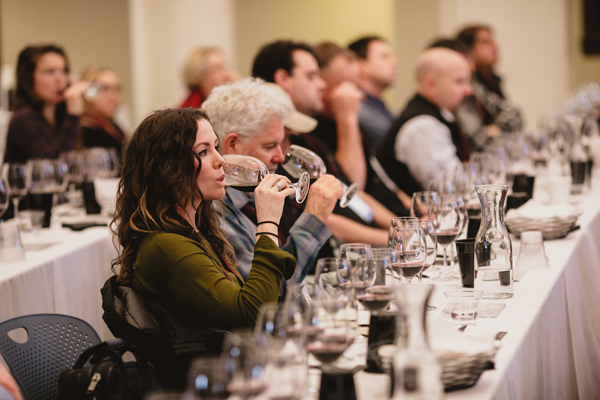 Wine Speak Paso Robles is a trade-focused event featuring winemaker seminars, private tastings and technical winery tours, as well as a public grand tasting—all geared toward fostering community and collaboration in the global wine industry. Wine Speak Paso Robles 2019 will kick off with two winery technical tours on January 7, one focusing on Rhône varieties and the other focusing on Bordeaux varieties. The “Taste of Paso Robles” grand tasting on January 8 will showcase 25 leading local wineries in an intimate setting overlooking Atascadero Lake. Local chefs will present wine-friendly small plates and winemakers will showcase some of their finest reserve and library bottlings. Featured winemaker seminars on January 8-9 will include “Creating The Perfect Blend” and “Cabernet Sauvignon: Inside and Out.” Additional seminars include “The State of Zinfandel” and “What Syrah Can Be.” A “Paso Paired” luncheon on January 9 will feature a three-course meal prepared by Chef Cheyne Jackson of The Range and expertly paired with interesting local wines. January 10 is “Hospitality Day,” and will feature a seminar on “Building Your Brand: Aloha Style” steered by executives from Hawaiian Airlines. Industry anticipation is high for Wine Speak Paso Robles 2019 based on the success of the inaugural event. For more information and a complete schedule for Wine Speak 2019, visit WineSpeakPaso.com.